Our best seller. 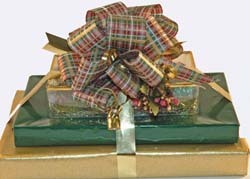 Holiday greens and festive plaid bow make the cheering giving. Featuring Dorothys hand-crafted melt-aways.